A report suggesting that Apple is cutting iPhone X production in half for the March quarter is off the mark, according to an executive at one of the company's Japanese suppliers. "Our understanding is that it [the cut] is not that great," Murata vice chairman Yoshitaka Fujita told Reuters. Murata is believed to be helping Apple with liquid crystal polymer-based flexible circuit boards. 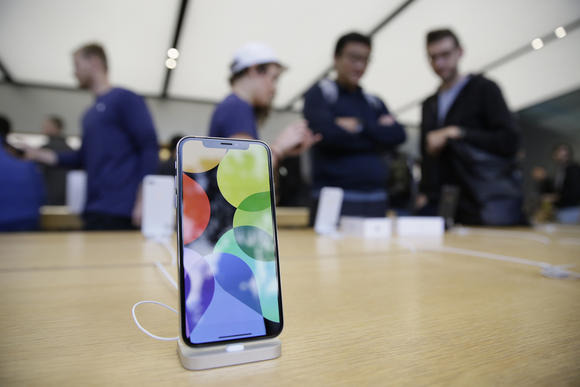 On Monday Japan's Nikkei said Apple had informed suppliers it was slashing March-quarter production from a predicted 40 million to 20 million, on the basis of slow holiday sales in critical markets like the U.S., China, and Europe. Apple typically ramps down iPhone production in the post-holiday season, but not so sharply, and the story dealt a blow to stock prices. Some watchers have been concerned that the iPhone X's $999 base price tag is putting off shoppers. Apple also launched the cheaper iPhone 8 and 8 Plus this fall, perhaps signalling its own worries that the X would have limited appeal. The X was also beset by production bottlenecks however, for which it might have wanted the iPhone 8 line as backup. The cost of the iPhone X is linked mainly to its edge-to-edge, 5.8-inch OLED display, and the TrueDepth camera, which uses sensitive 3D facial recognition components. Those technologies should eventually become standard across Apple products, but only once economies of scale push manufacturing expenses down.